I am proud to be partnering with Certified Angus Beef and Meijer to bring you this amazing and delicious beef recipe. 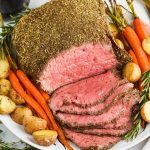 This Top Round Roast Beef Recipe is so easy to throw together, and so juicy delicious. With only about 10 minutes hands on time it makes for an amazing meal that is fit for any holiday! 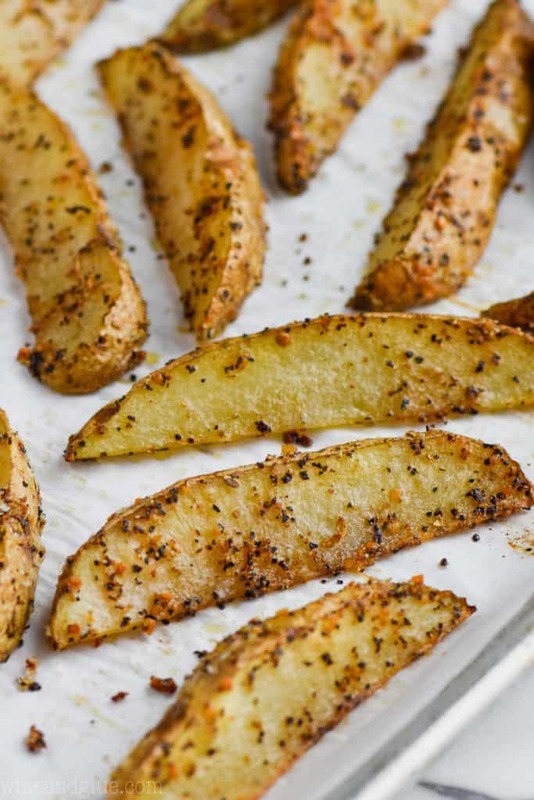 We love serving this recipe alongside my Roasted Baby Potatoes and Roasted Honey Glazed Carrots. 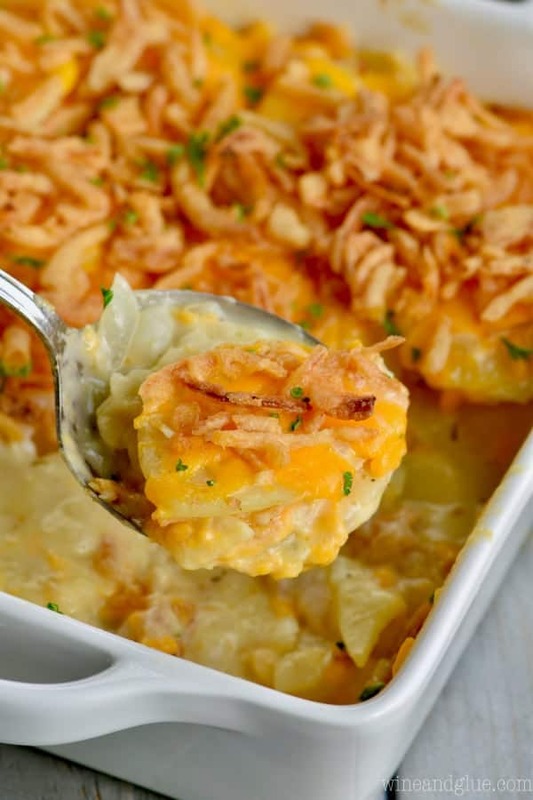 I am SO excited to share today’s recipe with you! 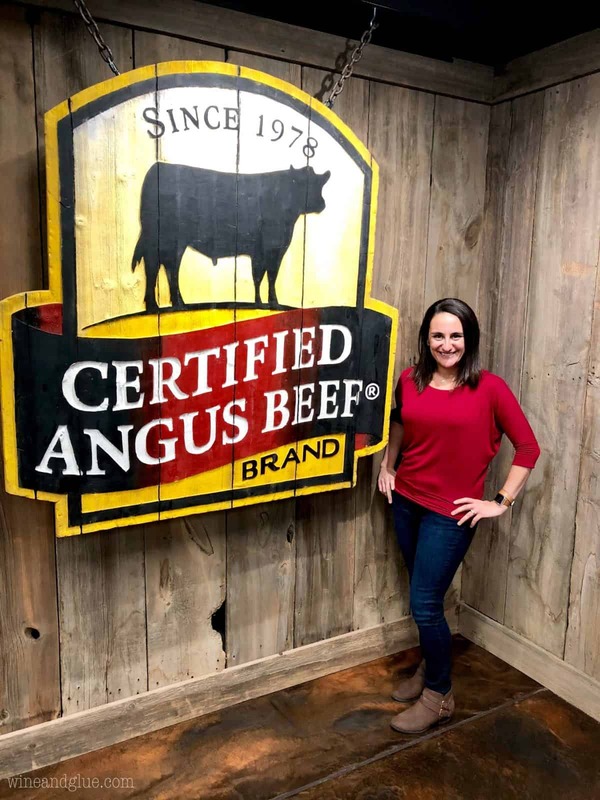 Recently, I had the great fortune of heading to Ohio with and Meijer to go to Certified Angus Beef’s headquarters, learn from them, and even better, cook with their chefs! I have never been super confident cooking with beef – probably because I grew up vegetarian, and beef just wasn’t something my mom made a lot of once we started eating meat. But it’s something I want to cook with more, because OMG, how tasty is well prepared beef?? Certified Angus Beef is a great resource for cooking beef, and I love that they have such a great partnership with my local Meijer store. If you are unfamiliar with Certified Angus Beef, they are a non-profit organization whose mission is to uphold the standards of beef and help families who raise cattle earn a better livelihood. Angus refers to the type of cattle that produces the best meat. Just like Holsteins tend to produce the best milk and are used as dairy cows. There are 10 standards that angus cattle must meet in order to qualify to be labeled Certified Angus Beef. The most important of those is the marbling within the meat; the more marbling a piece of beef has, the higher the quality. A rancher won’t know if their cow has met those standards until after it heads to the butcher. The standards are so high, that only 30% of angus meet them. So, if there is one thing you take away from this post, I hope it is that when you shop for beef, you look for the Certified Angus Beef label so you know you are getting the best quality. Another really important thing for Certified Angus Beef is teaching people how to cook beef well. I mean, if you are going to be eating the top quality beef, you want to make sure you cook it really well. My favorite part about being in Ohio was learning from the chefs at Certified Angus Beef. You should have seen the amazing spread they made for us. 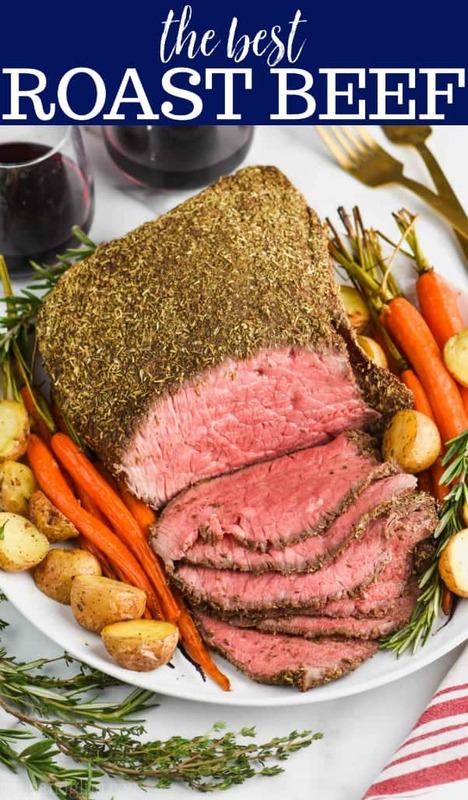 From what I learned there, I wanted to make you guys the best roast beef recipe. 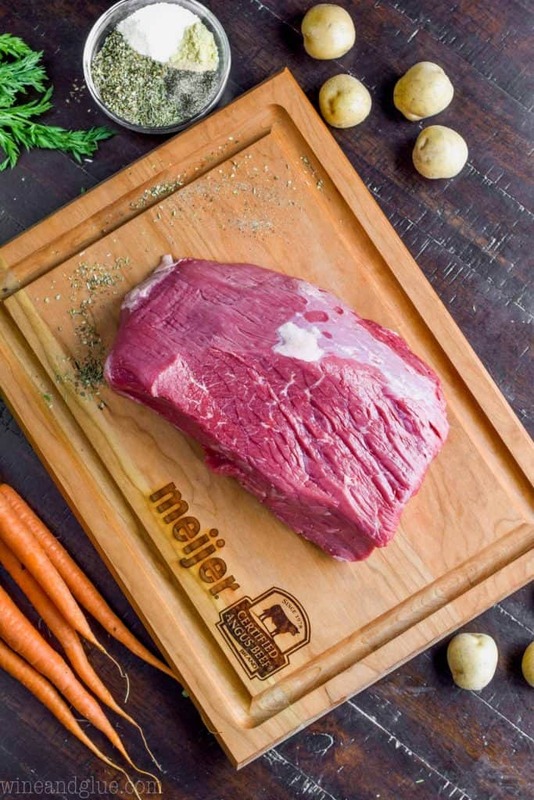 The first thing you need to do is head to your local Meijer and get a four pound cut of Certified Angus Beef Top Round Roast. My Meijer didn’t have what I was looking for in the meat case, but the butcher was able to cut me something fresh right away! 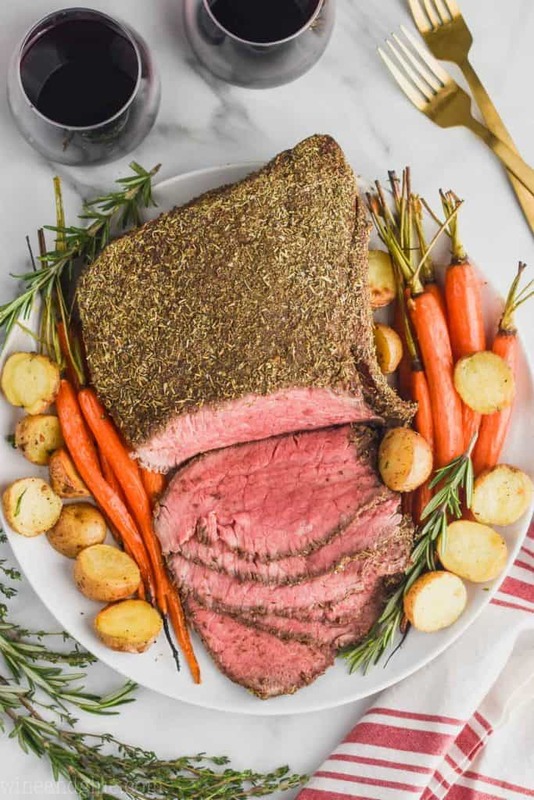 The key to this recipe is starting out the roast at a really high temperature (450 degrees) to brown the outside, and then turning the heat down after fifteen minutes and finishing the roast off that way. It makes for a roast that is crisp and delicious on the outside and moist and tender on the inside. 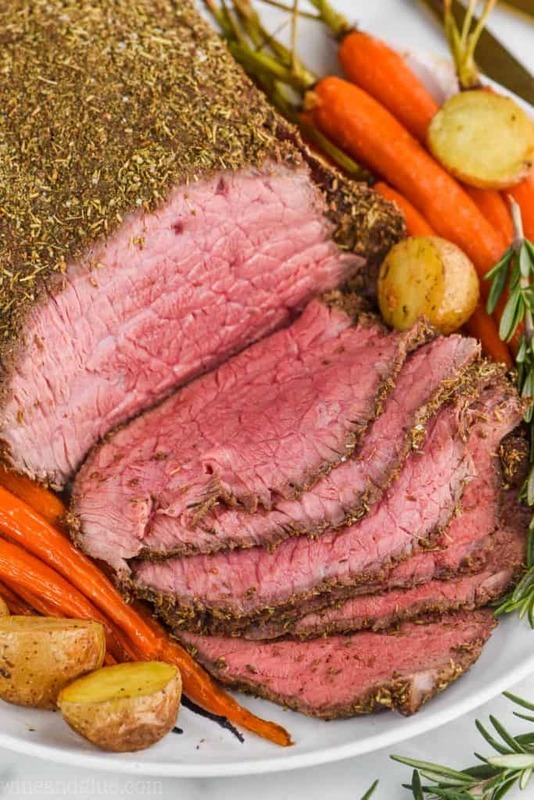 If you are wondering the top round roast beef cooking time per pound, you should download the Roast Perfect App! It was made by the chefs at Certified Angus Beef. Not only does it tell you exactly how long to cook your meat, it tells you what size you should buy based on how many people you are looking to serve. It also has recipes, tips, and helps you select the perfect roast. 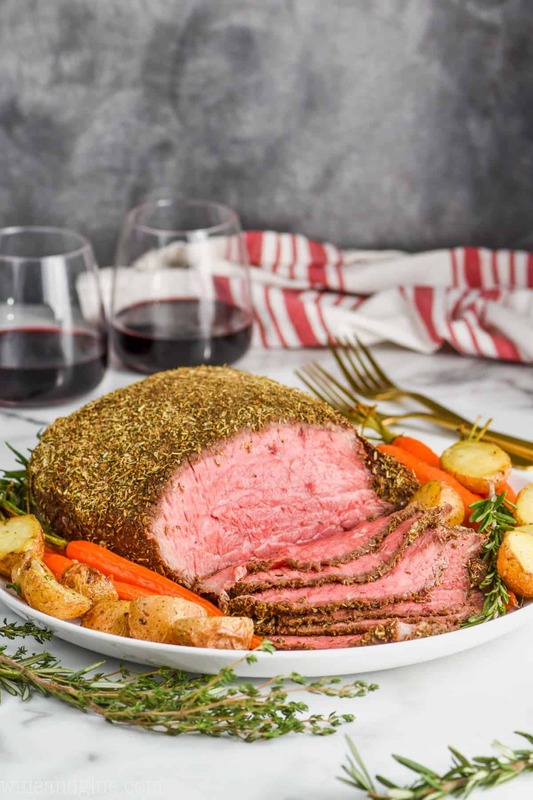 This recipe for a top round beef roast is just a slight variation on one of the amazing recipes that the chefs at Certified Angus Beef have come up with, because I just must tweak everything. But you will love all the great roast recipes that you find there. This really is the best roast beef recipe for a couple of simple reasons. The rub that you make is so simple and only takes a few minutes. It’s also very versatile. If you have a rub that you really love, you could use that instead on this great recipe. You cook the meat in a roasting pan with a raised grate, that allows the air to circulate around it and cook it really evenly. The high temperature beginning makes for such a nice outside. This recipe cooks the roast so perfectly that you end up with a very moist piece of top round roast. 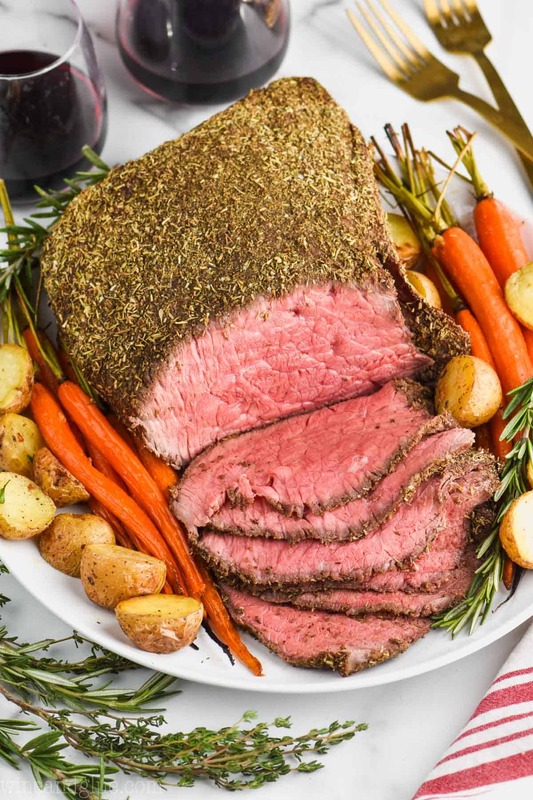 This Top Round Roast Beef Recipe is so easy to throw together, and so juicy delicious. 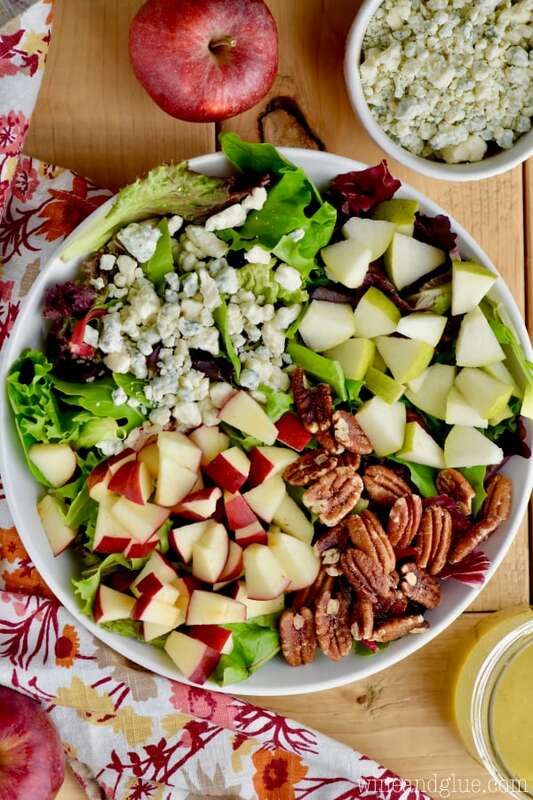 With only about 10 minutes hands on time it makes for an amazing meal that is fit for any holiday! Combine all of the spices in a small bowl. Either crush with a pestle (the back of an ice cream scoop works well too!) or grind with a food processor. Coat the meat with the mixture. Place the roast on a wire rack inside a shallow baking dish. Bake for 15 minutes at 450 degrees. Then reduce the oven to 325 degrees and bake for an hour or until an instant read thermometer reads 135 to 140 degrees. Remove from the oven and tent with tin foil for 15 minutes. Then slice in thin pieces and serve. 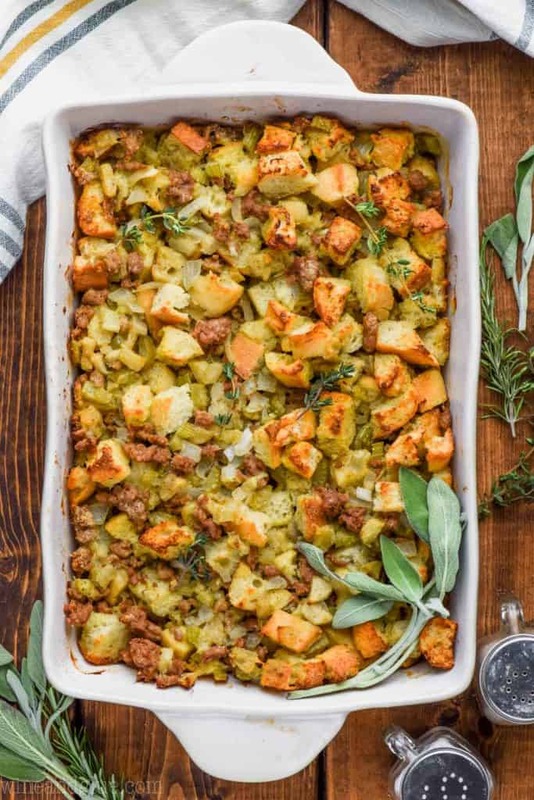 I just made this roast the other day and it is super easy and turns out great! I did leave it in for a few extra min to get to 135 degrees. Thanks for a terrific recipe! I’m so happy to hear you liked it! Yes! Such a good point, different cuts of meat and different ovens will mean different lengths of time to hit that 135 mark. Do you have a type of beef that you recommend? For example, grass fed vs commercial vs organic? Does one type bring more flavor into the recipe than the other? You really can’t go wrong with anything labeled with the Certified Angus Beef Brand! How much should I cut the time for only 2 lbs of beef? I would actually keep the time the same. I made a two pound roast and followed the directions but mine came out kind of chewy. Any ideas to what would case that? What kind of pan did you roast it in and are you sure it was a top round? We accidentally picked up a bottom round a few weeks ago, cooked it anyway, and it wasn’t nearly as tender. I cooked in a shallow Pyrex glass dish. It was packaged and it said top round. Okay, that will do it. You really have to use the wire rack to get the air to circulate around it and for it to cook properly. I feel you on the laziness! That is me pretty much all the time, lol. Should meat be at room temperature before cooking? Nope! I actually learned from the great cooks at Certified Angus Beef that that is a myth and not necessary at all. This was delicious. My whole family loved it! I just made it tonight and it was unbelievable, even though I did not have dry mustard or rosemary for the rub! After 15 minutes at 450′ and one hour at 325′ it’s no where near 135′. Barely registered 90′ on the instant thermometer. These cooking times definitely need to be adjusted. I’m sorry it didn’t work for you, I’ve made this multiple times and these cooking times do work. I would say that oven temperatures are not always consistent. You can buy a $5 thermometer to make sure your oven is cooking at the temperature it says it is. Additionally, thickness of meat will greatly change the length of cooking time, so that could also be a factor. I use a similar system, cooking at 500 degrees for 20 minutes then turning it down to 200 degrees for 40 minutes, making sure to not open the oven door. Then after 10 minutes of.resting its perfect every time. Size of the roast doesnt seem to matter.for some.reason. Mike, do you use a pan fitted with a rack so there is good air circulation around it? I was just thinking the other day what an important piece of the puzzle that seems to be. Do you vent with foil and if so you vent to keep all moisture in? So you just losely put the foil over the top to keep it warm. If you cut it right away you all the juices will run out. So that’s why you are waiting, and then you are tenting it just to keep it warm during that time.